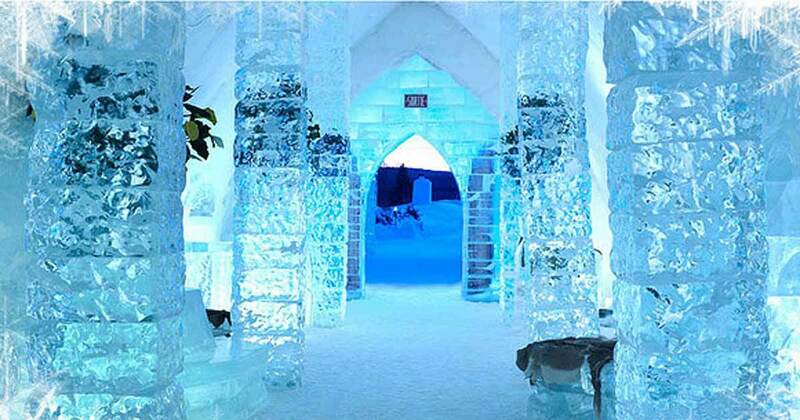 Step Into The World’s First Hotel Made Entirely Out Of Ice. Newsner » WOW » Step Into The World’s First Hotel Made Entirely Out Of Ice. The hotel’s intrinsically designed walls, floors and ceilings are all made of ice. The hotel melts and is rebuilt every single year, so the overall look varies from season to season, each presenting the hotel with a different, enchanting design. Maintaining this hotel made entirely out of ice is possible due to the consistent well below zero-degree Celcius temperatures that hit Jukkasjärvi, in Northern Sweden at wintertime. The hotel transported me to a fantasy land. The prices are steep, but I think spending just one night would be well worth the enchantment. Step into a world of enchantment. There’s even a very appropriately named “Ice Bar”. Lay your head in a super cool, but very cozy room, boasting warm, animal fur blankets. Watch this mesmerizing video that explains the inspiration behind the hotel: the Torne River, an important water source that crosses through both northern Sweden and Finland. You can skip to 5:06 min to watch workers begin the incredible construction of the Icehotel.